Yesterday we took a trip to the neighboring town of Macon (about a 10min. drive) to do our grocery shopping. I must say that it was a much better situation than I expected. 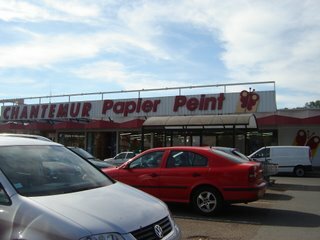 The grocery store was kind-of like a Super Walmart in that it had household goods (like clothing, tech. equip, office supplies, etc.) as well as the food sections. There are two other girls living in the house with me, so we went shopping for our meals for the next several days. 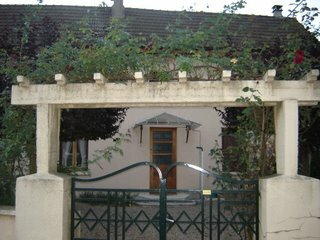 When there are guests at the Chateau then we will eat with them, otherwise we are on our own for food. Our first meal together was parmesan crusted chicken breast with basil tomato sauce and pasta. Not too bad for a small stove and limited utensils. It really feels like college all over again! Today we worked around the Chateau getting the rooms ready for the guests this weekend. 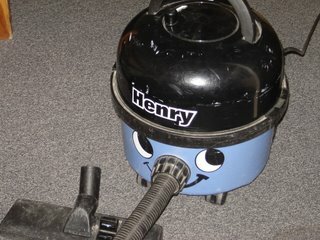 I worked with Henry vacuuming all of the rooms. Henry was a real pal and killed several large spiders, as evidenced below. I'm telling you it was HUGE! 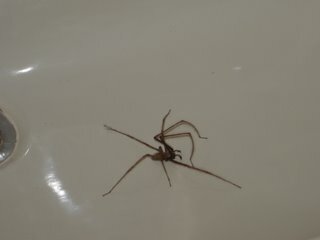 With all of it's legs spread out it would have be bigger than my hand! That's no joke! I couldn't even watch as Henry saved me. And I'd like you to meet Henry! 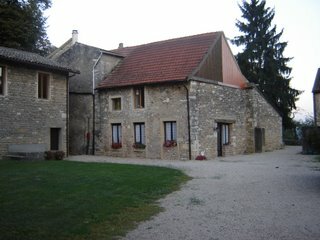 Here is another shot of the Chateau, and the rooms are scattered throughout this building and the one just so captured on the picture on the right. Just inside the door at the side of the main building in the center is where the prior incident went down. 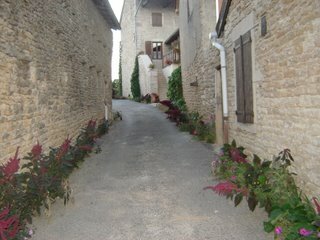 A small alley just up the street from the Chateau. 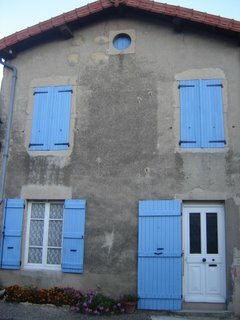 Neighboring houses... notice shutters that actually are functional!